ความรู้เรื่องเบรคโดยผ้าเบรค EBC - Euro Auto Breakers & Engineering Ltd. Achieve unparalleled braking performance with EBC Brakes Racing’s Fully-Floating 2-Piece Brake Rotors for Audi RS4 and RS5 (B8) - available now! It’s great that EBC Brakes is coming on board – especially as the title sponsor of the Superbike class,” said MotoAmerica President Wayne Rainey. “Next to the rider, the most important part of any motorcycle is the brakes. EBC has been around racing for a long time and they understand the importance of producing a quality product for racing. 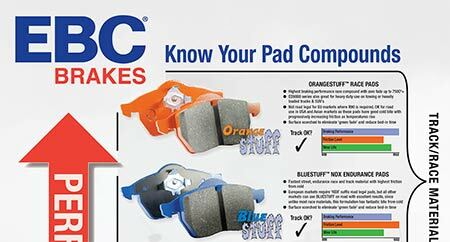 EBC Brakes for cars now available in Saraburi. (หจก.ปัญบวรอะไหล่) to the EBC Brakes family. Many thanks to Dr. Iain Corness for sharing our guide to braking in the Pattaya Mail motoring section this week.